Winston Smith อ่านประวัติศาสตร์ระบบทุนนิยม จากตำราประวัติศาสตร์เด็กโลกที่ยืมมาจาก Mrs. Pearson แล้วก็เริ่มลอกข้อความจากหนังสือ บันทึกลงสมุดบันทึกส่วนตัว. George Orwell มิได้เป็นผู้เห็นชอบกับลัทธิคอมมิวนิสต์ แต่ เป็นนักอุดมการณ์สังคมนิยม งานเขียนที่สร้างชื่อเสียงให้เขาโด่งดังก้องโลกวรรณกรรม ก่อน 1984 คือเรื่อง Animal Farm ในปี 1946 ก็เสนอแนวคิดล้มระบอบทุนนิยมมาก่อนแล้ว มาถึงเรื่อง “1984” ทุนนิยมถูกทำลายโดยสงคราม รัฐสังคมนิยมก็ยังไม่เกิด กลับถูกแทนที่โดยระบอบรัฐครองอำนาจเบ็ดเสร็จ ครอบงำสื่อมวล ข่าวสารข้อมูล บิดเบือนประวัติศาสตร์ และบิดเบือนข้อเท็จจริงทุกเรื่อง เพื่อหลอมมวลชนให้อยู่ในความควบคุมของรัฐ ใครขัดขืนไม่เชื่อฟังก็ถูกอุ้มหายไป เรียกเป็นภาษาที่รัฐประดิษฐ์ขึ้นใหม่ว่า “Vaporize” แปลตรงตัวว่า “ระเหิดระเหยหายไป” ซึ่งหมายความว่า “อุ้มไปฆ่า” “ลบหลักฐาน” จนไม่ปรากฏชื่อนักต่อต้านอำนาจรัฐผู้นั้นในทะเบียนบ้านอีกต่อไป. Flemming Rose is a senior fellow at the Cato Institute. Jacob Mchangama is director of the Copenhagen-based think tank Justitia. 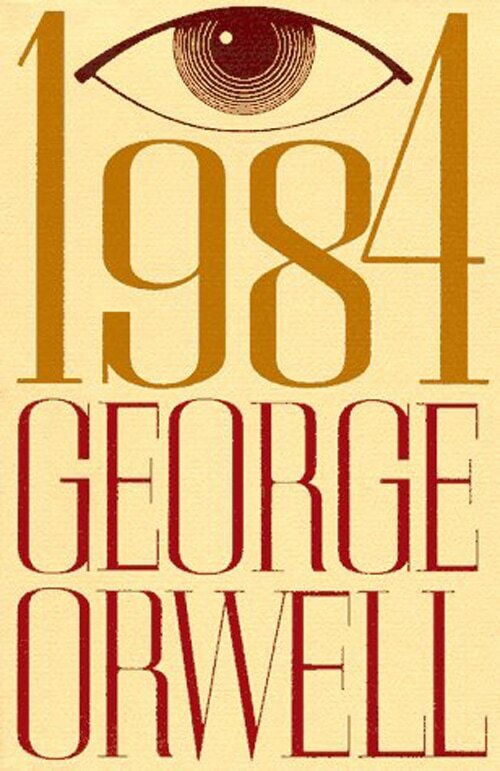 ​Remember George Orwell’s Ministry of Truth? In his dystopian novel “1984,” its purpose was to dictate and protect the government’s version of reality. 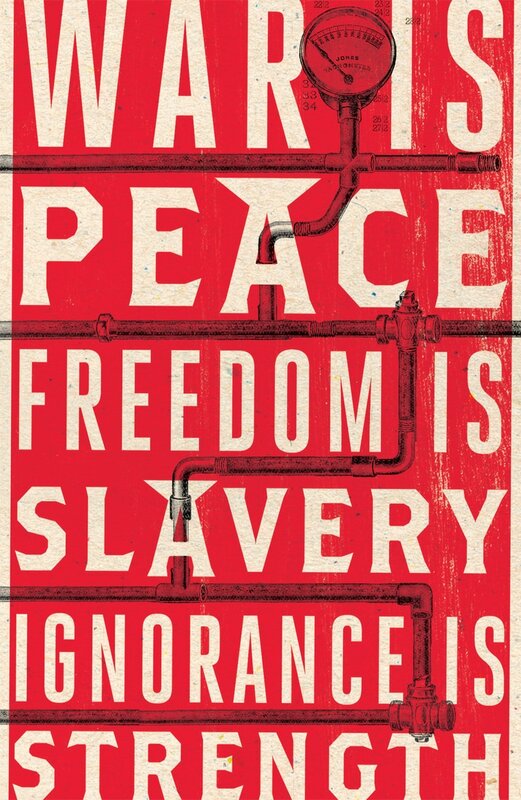 During the Cold War, Orwell’s book was banned behind the Iron Curtain, because readers perceived the novel as an allegory for their own repressive regimes. It was a serious crime to distribute information defaming the Soviet social and political system. Such criminal laws were widely used by the Kremlin to silence dissidents, human rights activists, religious movements and groups fighting for independence in the Soviet republics. Similar laws were on the books in East Germany, Poland and other Eastern bloc countries. Thankfully, today this landscape is much changed, but increasingly there are disturbing echoes of the past. Amid a debate about the rising influence of fake news and the danger it poses to the political and social order in the West, democratic politicians in Europe have proposed sanctions — and even prison terms — for those found responsible for distributing false information. Euopean Union Justice Commissioner Vera Jourova has warned tech companies such as Facebook and Twitter that if they don’t find ways to eliminate hate speech and combat fake news, a law mandating action may be necessary. Commissioner Andrus Ansip reinforced that threat last month, albeit in softer language, prompting social-media giants and traditional media to announce a flurry of initiatives aimed at combating fake news. Italy’s antitrust chief, Giovanni Pitruzzella, has said that E.U. countries should set up a network of government-appointed bodies to remove fake news and potentially impose fines on the media. Pitruzzella doesn’t hide his political agenda — he wants to target his opponents on the populist left and right. “Post-truth in politics is one of the drivers of populism, and it is one of the threats to our democracies,” he told the Financial Times. That is indeed a nightmare scenario to be avoided. But using legal measures to counter disinformation is likely to be a cure worse than the disease. One does not need to go back to the Cold War to worry about what happens when governments become the arbiters of truth. In the past two years, Egypt has sentenced six Al Jazeera journalists to death or long prison terms for, among other things, allegedly spreading false news. In 2013, Gambia — until the recent ouster of Yahya Jammeh, one of Africa’s worst dictators — introduced a punishment of up to 15 years’ imprisonment and hefty fines for those who spread “false news,” citing a need for stability and the prevention of “unpatriotic behavior” and “treacherous” campaigns. Russia, ironically the source of so much of the disinformation menacing liberal democracies, uses broad and vague anti-extremism laws to prohibit news that the Kremlin views as propaganda — including prison sentences for social-media users who insist that Crimea is part of Ukraine. Of course, Europe’s established democracies have little in common with the Soviet Union or other illiberal regimes. But the legal tools proposed by European politicians to suppress fake news sound alarmingly like those used by authoritarian governments to silence dissent. This is dangerous. Not only are such measures incompatible with the principle of free speech, but also they set precedents that could quickly strengthen the hand of the populist forces that mainstream European politicians feel so threatened by. Europe may soon find itself with populists such as France’s Marine Le Pen and the Netherlands’ Geert Wilders with real power. Such leaders would draw the line between fake news and free speech very differently than mainstream politicians — perhaps aiming them at the supposedly corrupt established media rather than websites, blogs and social media trafficking in “alternative facts.” It is also unlikely that the increasingly illiberal governments of Poland and Hungary would agree with the European Commission or German Chancellor Angela Merkel on what constitutes false information or fake news. And while the First Amendment prevents the U.S. government from overtly limiting press freedom, it’s clear that President Trump’s definition of fake news is vastly different from what his opponents or the media have in mind. Above all, rather than strengthening established media institutions, banning fake news might very well undermine them in the eyes of the public. If alternative outlets are prosecuted or shut down, mainstream media risk being seen as unofficial propaganda tools of the powers that be. Behind the Iron Curtain, nonofficial media outlets had more credibility than official media in spite of the fact that not everything they published was accurate or fact-checked. The hashtag #fakenews could become a selling point with the public if it were banned rather than rigorously countered and refuted.